Where do you put the battery tender dongle? I've got an 1199S, what's the best/easiest way to have an quick connect/disconnect dongle for a battery tender over the winter? Is there a specific hole or route for the wire that other riders are frequently using? As always, thank you tremendously in advance! 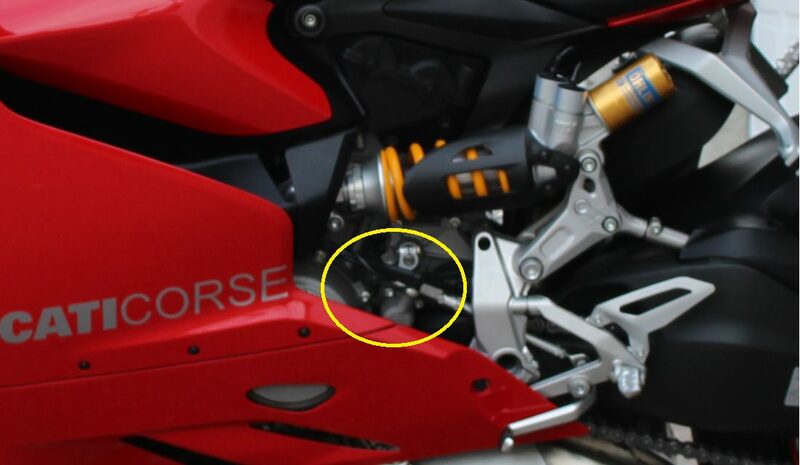 My Multistrada has a quick connect routed to one of the passenger rearset frame. The cap just wraps around the frame to keep it in place. I zip tied mine to the QS wiring that was already there on the 1299. Super easy to get to and hardly noticeable. Under the passenger seat glovebox. I made a tiny bracket and placed a LEMO connector to the right of the ign key.